Netizentown: Why does Na PD love Lee Seo Jin so much. 5 years in variety together. Why does Na PD love Lee Seo Jin so much. 5 years in variety together. Ever since they met on 1n2d in 2012, they have been continuously working together in Na PD's variety shows. 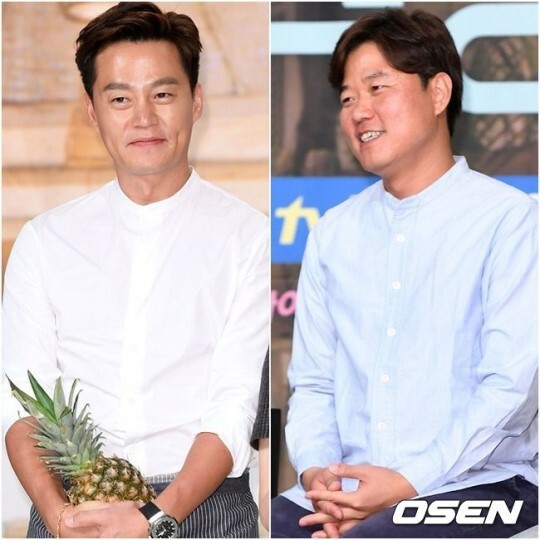 Lee Seo Jin turned out to be an unexpectedly useful figure for Na PD's concepts. They meet again in Yoon Restaurant. In Yoon Restaurant, Lee Seo Jin will be speaking fluent English to the foreign customers, and with his Business Administration degree from NY Univeristy, he'll be useful in managing the restaurant. [+2797, -74] It'll be fun to see what kind of personalities and behaviors will show up. Such unique characters.